After a fight broke out in the court between Philippines and Australian basketball players in the FIBA World Qualifier that was held in the Philippine Arena, people have started taking sides. But Australian sports anchor Greg Thomson for Fox Sports Australia, was clearly very disappointed presented by the Filipino players after the team took a selfie photo while the referees were figuring out what to do about the incident. According to Thomson, the brawl was an “absolute faggotry” and that by taking a selfie with the players smiling, he felt that the Filipino players were trying to add more fuel to the fire. "It’s absolute faggotry and to add insult to injury, these muppets, these blinded imbeciles posed for a selfie when the officials are working out what the hell to do,” Thomson said. "This is unbelievable! What the hell are they thinking?" he asked. 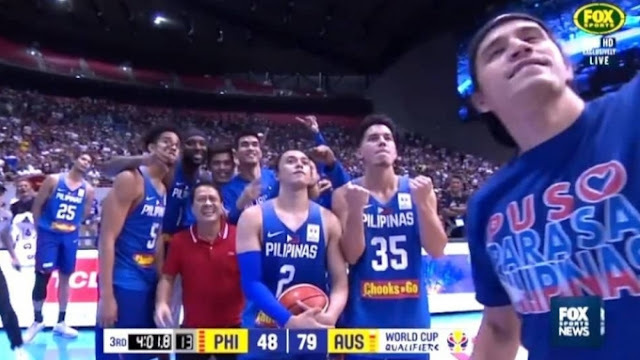 Marc Pingris was the one who started took the selfie which gained a lot of attention worldwide. 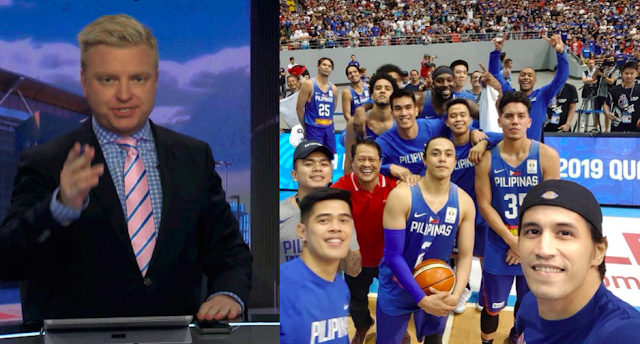 The anchors of Fox Sports Australia also had some things to say against Gilas head coach Chot Reyes. 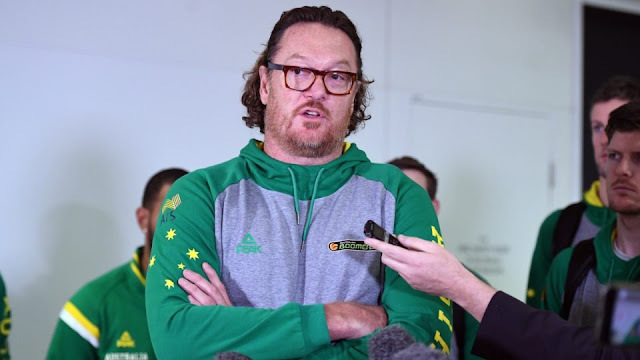 According to Luc Longley, assistant coach of the Boomers, he puts the blame on Reyes for the behavior of his team. Longley added that Reyes did not even look him in the eye when the coaches shook hands after the match. He alleges that even Reyes was embarrassed about the behavior of his team but it was no excuse for him to allow his players to take a selfie after the fight. “I've never seen anything like that, not even on YouTube. I do believe their coach Chot Reyes incited them to come out and thug us. There's video evidence of that. Then he substituted a thug out there, who took three or four cheap swings at 'Bubbles' [Goulding]," Longley said. "This is out of the party line but I'm most disturbed with their head coach. I think he was embarrassed by the way his team was playing. I think he was embarrassed by the shape they were in. I think he was embarrassed by how they fought. He wouldn't look me in the eye at the end of the game when I shook his hand. I think he was embarrassed and I think that's where a lot of it came from,” he added. "If you listen to his diatribe after the game I think it verifies it. I'm upset with him more than anybody. To let his team take gangster selfies on the baseline after something like that, that shows a total lack of control and respect. As a coach, he shook my hand but he wouldn't look me in the eye. I thought that was poor form. He should take some responsibility for that on the spot and I think he's embarrassed," he further said. Currently, the penalty for the Philippine players have not been released yet. However, some people allege that it can range from game suspensions, fines, penalties or reprimands. The team still awaits the decision from FIBA.